In 1492, Christopher Columbus was introduced to maize (corn) from Indians of Cuba. Mogollegers defeated the Hindu leader Hemu, at the Battle at Panipat in 1556. In 1605, Catholic conspirator Guy Fawkes tried to blow up King James I and the British Parliament. the day is celebrated as Guy Fawkes Day, where his effigy is burned on a bonfire. Adolf Hitler informed his military leaders in a secret meeting of his intention to go to war in 1937. In 1956, Britain and France landed their airborne forces at Port Said in Egypt, thus, escalating the Suez Crisis. Railways to showcase its first gold standard train ‘Swarn’. India enters Guinness World Records by cooking 918 kg of khichdi. Cross border trade and bus service to start between India and Pakistan. Belgian royal couple arrived in India for a seven-day visit. Col Rajyavardhan Singh Rathore to attend World Youth Forum in Egypt. Government of India & Patanjali signed an MoU worth Rs 10,000 crore. Yes Bank entered into an agreement with the government to provide Rs 1,000 crore financing for food processing projects. Uber to partner with Metro Cash and Carry. 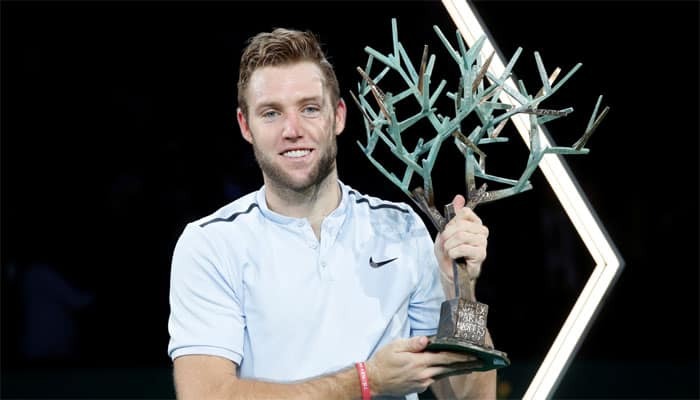 American Jack Sock won the Paris Masters title. Rohan Bopanna and Pablo Cuevas won the doubles title in the Erste Bank Open. Vardhan, Balaji won the Shenzhen Challenger title. Indian Railways will showcase its first gold standard train on Monday. The New Delhi-Kathgodam Shatabdi Express will be the first to be launched as part of the railways’ ‘Swarn’ project. 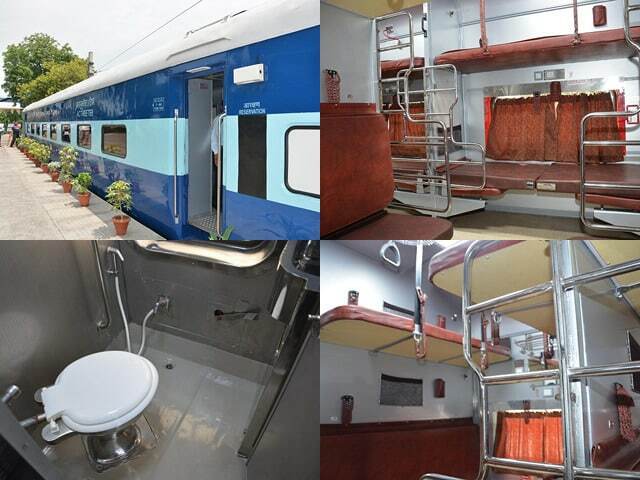 Railways will renovate India’s premium trains such as Rajdhanis and Shatabdis. On-board entertainment, trolley service for catering, new interiors and clean toilets with automatic doors, are some of the amenities being upgraded at a cost of Rs 50 lakh each. Automatic odour and hygiene control systems, disposable headrest covers for executive class, Wi-fi hotspots have been integrated into the coaches and also all the coaches will have Braille signages. Security systems will also be upgraded by installing CCTVs and deputing more RPF personnel. Around 30 trains — 1 5 Rajdhanis and 15 Shatabdis — will get a complete overhaul at a cost of Rs 25 crore under the project launched by Railway Minister Suresh Prabhu. India set the world record by cooking 918 kg of khichdi at the World Food India. Renowned chef Sanjeev Kapoor with a team, cooked the khichdi to promote the dish as Brand India superfood. Yoga guru Ramdev Baba added the ‘tadka’ to the dish which was steam-cooked in a giant wok weighing around 1,200 kg. Other leading chefs including Imtiaz Qureshi, Ranveer Brar, Sudhir Sibal, Rakesh Sethi, Akshay Nayyar, Satish Gowda helped with the cooking. The khichdi will be distributed to orphans by Akshaya Patra Foundation and Gurudwara to about 60,000 people. 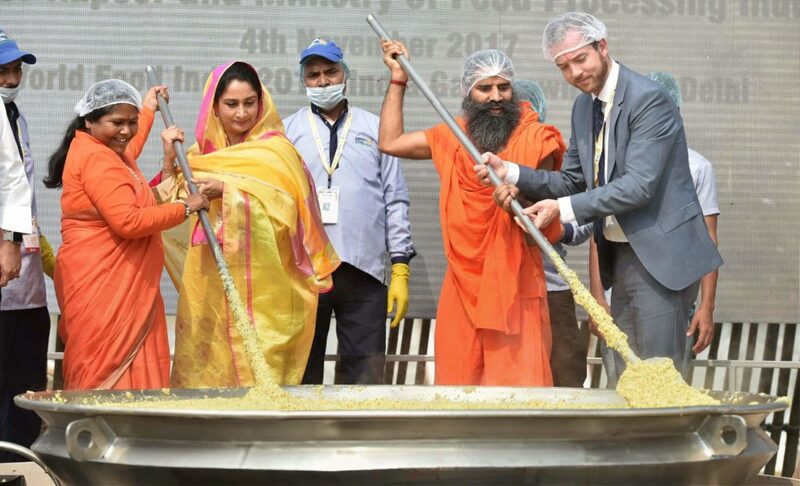 Food Processing Minister Harsimrat Kaur Badal, Minister of State for Food Processing Sadhvi Niranjan Jyoti, Denmark Food Minister Esben Lunde Larsen, ITC CEO Sanjiv Puri, Tata Chemicals COO Rich Arora, and Akshaya Patra Foundation officials were also present at the event. The mega khichdi preparation was part of the ‘Great Indian Food Street‘ at the global event that features traditional food from more than 20 states. After a four month hiatus, cross border trade and bus service between India and Pakistan through the Poonch-Rawalkote route is likely to resume. The development follows India’s decision to approve medical visas for Pakistani nationals in “deserving” cases and also the release of prisoners and fishermen by both countries last week. 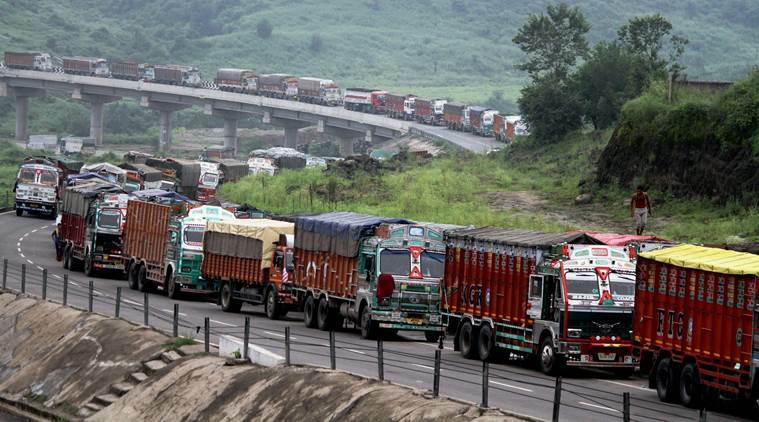 Trade through the Uri-Muzaffarabad route on the LoC was also suspended after the seizure of banned drugs but resumed in August. J&K chief minister Mehbooba Mufti has remained committed to cross-LoC trade despite demands by local BJP leaders to shun it in the face of allegations that the facility was being used to fund terrorism. The Poonch-Rawalkote bus service will also resume on Monday after it was stopped four months ago because of firing on the LoC by Pakistani troops. Senior civil officials from Poonch and PoK held a meeting on Friday and agreed to resume the suspended bus service and trade between the two sides. The bus service was started along the Srinagar-Muzaffarabad road in April 2005 and the Poonch-Rawalkote route on June 20, 2006, to help trade and travel between the divided families of J&K and PoK. Trade across the LoC was suspended on July 11 after heavy firing and shelling from the Pakistani side caused damage to trade facilitation centres and police barracks. 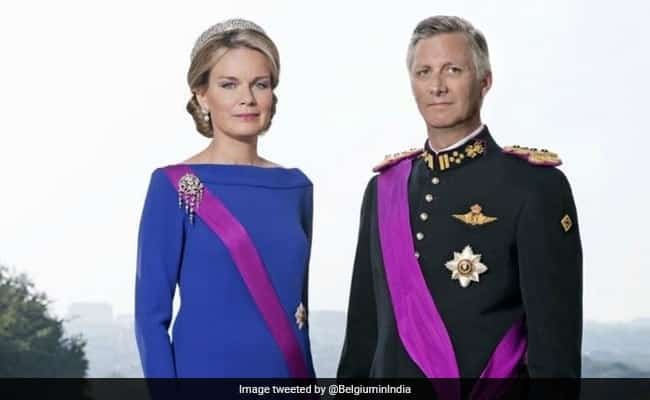 King Philippe and Queen Mathilde of Belgium arrived in India on Sunday for a seven-day visit to boost cooperation between the two countries with a focus on trade and investment. This is King Philippe’s first state visit to India after his ascension to the throne in 2013. The royal couple was received by Union Urban Development Minister Hardeep Singh Puri. India is Belgium’s second largest export destination and the third largest trading partner outside the European Union. The royal couple will visit the iconic Taj Mahal and the King is scheduled to meet President Ram Nath Kovind and Prime Minister Narendra Modi. King Philippe will attend an India-Belgium Business Forum meeting. Minister of State for Youth Affairs and Sports Col. Rajyavardhan Singh Rathore will represent India at the World Youth Forum, in Sharam El Shiekh, Egypt. The forum will be inaugurated by the President of Egypt, Abdelfateh El Sisi on November 6th. The Summit is expected to be attended by the Heads of State/Government, Ministers of youth from 14 countries and Representatives of UN, Arab League and the African Union. The Forum aims to provide a platform to the youth from all over the globe to engage with the key global policy makers. It also covers the role of youth in the business and innovation, challenges and making of future leaders, gender equity and women empowerment. Metro Cash and Carry and Uber announced an alliance to offer driver partners a membership with the wholesale chain. The alliance will start in Bengaluru and soon will be extended pan-India to all Metro and Uber driver partners. The membership includes special offers and discounts to all Uber driver partners. To mark the commencement of the initiative, 15 Uber driver partners were handed over Metro cards by the company’s COO Pieter Boone, along with Christoph Winterer, Operating Partner, Asia Region, Metro Cash and Carry, and Arvind Mediratta, CEO & MD, Metro Cash and Carry India. A Memorandum Of Understanding was signed between the Government of India and Patanjali at the World Food India 2017 for an investment of Rs 10,000 Cr in the country’s food-processing industry. The MoU was signed by Patanjali MD Acharya Balkrishna and Union Cabinet Minister of Food Processing, Harsimrat Kaur Badal, at the World Food India 2017. The World Food India 2017 organised at Delhi’s Vigyan Bhawan. It was inaugurated by Prime Minister Narendra Modi. The event was organised by the Ministry of Food Processing, the event saw a congregation of global investors and business leaders of major food companies from November 3 to 5 in New Delhi. Private sector lender Yes Bank signed an agreement with the Union Government to provide Rs 1,000 crore financing for food processing projects. The funding will be provided to around 100 food processing projects with an average ticket size of Rs 10 crore each. Focus will be on projects such as, cold chain creation of new processing units, expansion of existing units, forward linkages and food processing clusters in various locations in India, among others. The memorandum of understanding (MoU) was signed during the three-day World Food India being organised by the Food Processing Ministry. American Jack Sock won the Paris Masters title on Sunday. He also, clinched the last spot in the ATP Tour finals when he beat Serbian qualifier Filip Krajinovic 5-7 6-4 6-1. Sock won his first two service games to love. He served and volleyed to save a break point but a double fault handed Krajinovic a break and a 4-2 lead. Krajinovic lost his focus and a forehand error gave Sock an early break in the second set. The Serb fell 4-1 down. Jack Sock, became the first American to win the tournament since Andre Agassi in 1999. Rohan Bopanna and Pablo Cuevas of Uruguay won the doubles title in the Erste Bank Open on Sunday. They beat Marcelo Demoliner and Sam Querrey 7-6(7), 6-7(4), 11-9. This is the third Tour title of the season for the 37-year-old Bopanna, ranked 17 in the world, and second with Cuevas after the one in Monte Carlo. He started the season by winning the Chennai Open with Jeevan Nedunchezhiyan. Bopanna has 17 doubles titles so far. Saketh Myneni and Vijay Sundar Prashanth defeated the Japanese pair of Ben Mclachlan and Go Soeda in two tie-breaks in the final of the $50,000 Challenger in Vietnam. Vishnu Vardhan and N Sriram Balaji won their third Challenger title of the 2017 season together. They defeated Austin Krajicek and Jackson Withrow in the final of the Shenzhen Challenger in China. The Indians beat the fourth seeded Americans 7-6 (3), 7-6(3) in a tight summit clash of the $75,000 event. Vardhan had also won a title with Toshihide Matsui in Astana.